All those new sports gamblers will have to place their bets somewhere. A Supreme Court decision that expands sports betting beyond Nevada could mean billions of dollars in new business for the casino industry. The court ruling in favor of New Jersey overturned a 1992 federal law that had prohibited sports betting in most states. Currently, Nevada is the only state where single-game wagering is legal. Now, other states will have the opportunity to legalize the practice. “The opportunity for a sportsbook is a whole new revenue source for casinos,” said John Decree, head of North America equity for Union Gaming, a boutique investment bank that focuses on the gaming industry. Sports betting will be a new source of revenue for casinos as well as a way to entice new customers into the casino, Decree said. High foot traffic during major sporting events could encourage traditional gambling, noted David Katz, an analyst who covers gaming for Jefferies. Katz estimates that the casino industry could add as much as $ 2.9 billion to its annual profit. Caesars (CZR) also welcomed the decision, and said that it plans to expand its sports betting business. Investors also saw potential in the news. MGM stock ticked up about 2%, Boyd rose about 4% and shares of Ceasr spiked about 6% on Monday. Companies that have casinos throughout the country and rely on domestic revenue could gain the most, said Dan Wasiolek with Morningstar. Analysts are betting that casino operators like MGM and Ceasars could win out. But there’s a long way to go before the court ruling turns into profits for casinos. One question is how long it will take for states to make sports betting legal. “The amount of times it takes for an individual state to set up a regulatory structure and a tax structure [is] almost always … longer than expected,” said Katz. Even if states act quickly, casinos might not make that much off of sports betting. Katz noted that casinos that don’t have much experience with sports gambling could outsource bookmaking to companies like International Game Technology (IGT) and Scientific Games Corporation (SGMS). Expenses like taxes, possible integrity fees from sports leagues to make sure that betting doesn’t throw games and operating costs could ultimately lead to a modest profit from sports betting, he added. “Sports betting margins are notoriously narrow in a casino,” Curtis said. Other companies stand to gain from the decision. Shares of International Game Technology popped about 4% and Scientific Games spiked about 12% on Monday. 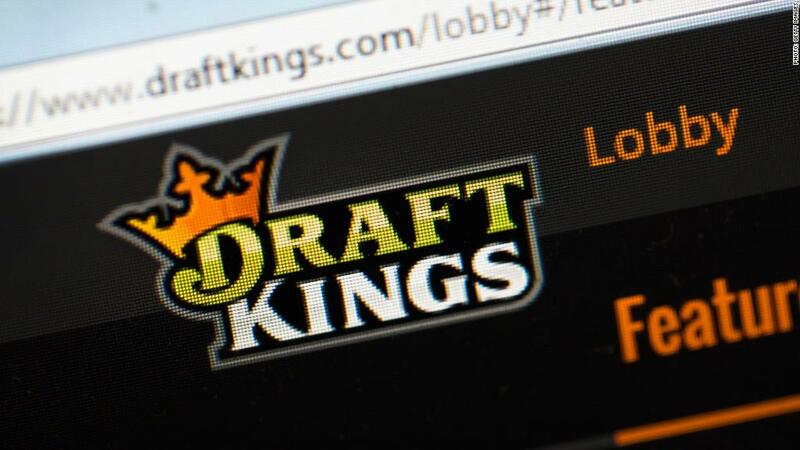 And fantasy sports league platforms FanDuel and DraftKings are seizing the opportunity to enter into gambling. FanDuel said in a statement that the decision will let it “create a sports betting product that fans will love.” DraftKings also said that it will enter the sports betting market. Can you invest responsibly and make money, too?